Hide this Project (Cynosure White Spaces) Discover properties in other projects by hiding the ones that doesn't interest you. You won't see them in your searches further but you can unhide anytime later. Cynosure White Spaces in Whitefield, Bangalore East by Cynosure Homez Builders is a residential project. The size of the Apartment ranges in between 745.0 sq.ft. and 1573.0 sq.ft. Cynosure White Spaces price ranges from 31.99 Lacs to 66.82 Lacs. Cynosure White Spaces offers facilities such as Gymnasium and Lift. This is a RERA registered project with registration number PRM/KA/RERA/1250/304/PR/171021/000584. Bank loan approved from HDFC home loans, State Bank of India, Punjab National Bank and LIC Housing Finance Ltd. It is a ready to move project with possession offered in Sep, 2018. The project is spread over a total area of 1.23 acres of land. It has 70% of open space. Cynosure White Spaces has a total of 5 towers. The construction is of 7 floors. An accommodation of 108 units has been provided. Where is Cynosure White Spaces located? Whitefield, a prime residential locality for house seekers in Bangalore East. What is the area of apartments in Cynosure White Spaces? The area of apartments offered in the project ranges from 745.0 sqft to 1573.0 sqft. What is total area of 2 bhk in Cynosure White Spaces? 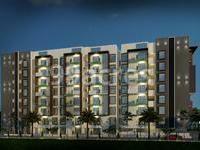 The area of 2BHK units in the project varies from 745.0 sqft to 1150.0 sqft. What is the 3 bedroom size in Cynosure White Spaces? The area of 3BHK units in the project varies from 1177.0 sqft to 1573.0 sqft. What is the area of Cynosure White Spaces?The total area that the project occupies is 1.23 Acres. How many units are available in Cynosure White Spaces?The project has a total of 108 units. Cynosure Homez is a well-known real estate company in Bangalore. It has an aim to deliver high quality living spaces that offer value for money invested by the customers. With the help of professionals like architects, technicians and other experts; the group strives to provide homes that offer comfort and luxury to the buyers. Each of its project is a blend of modern amenities and beautiful architectural design. Cynosure Vivacity, Cynosure White Spaces and Cynosure Jyothi Woods are its notable executions in Bangalore. Is there anyone staying in this project who could provide me some information about the security measures taken in this project? Are the CCTVs installed properly working? Does the society has Intercom facility? Is Whitefield facing water shortage issue? @Imran, the builder has amended several security features in this project. 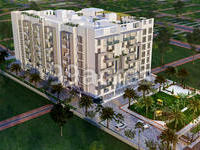 Keya The Green Terraces is a gated community with round the clock security. As you enter the society, you will find that the under CCTV Camera surveillance. The security staff is well trained and they are vigilant about anyone entering or exiting the society. The whole society is equipped with Intercom facility. Further, every floor has fire- fighting systems which can be operated manually in emergency situations. Yes, there are some water shortage issues in Whitefield during summer as the whole area relies mainly on borewell/tanks. BWSSB is supplying the Cauveri water to the Cauveri. However, you can consult some residents and brokers in Whitefield to get more idea about the water shortage issue. I am shifting to Bangalore next year with my family and my friend suggested me to have a look at Cynosure White Spaces. Are there any good schools for my kids around this project? What basic facilities can I found near to this project? Hi Akshata, there are 3 good educational institutions which are within a radius of 6 km from this project: The Bangalore School, Sunstone Business School and Holy Cross School. Further MVJ College of Engineering is just 2.5 km away. There are some restaurants located nearby. Important facilities like banks and ATMs are located at a distance around 4-6 km. Extra facilities such as malls, hotels and convenience stores are also nearby. Healthcare centres like Naranya Multispecialty Hospital, Brookfield Hospital, Jeevika Hospital, VIMS Hospital and Columbia Asia Hospital are easily reachable. So, overall this is a decent project to look out for.